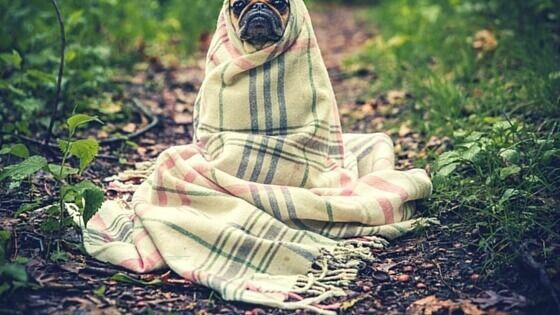 How to take care of your dog in monsoon? The rains make everything beautiful, don’t they? While the monsoon showers provide that much-needed respite from the scorching Indian summer, they may not be as welcoming for your pooch.You need to take extra care of your dog during the monsoon, as it can lead to the outbreak of many canine diseases — from skin infections to respiratory disorders and gastronomical issues. In this blog post brought to you by Himalaya Companion Care, we explore how you can take care of your dog this rainy season. Protect your dog from fungal infections. Fungal infections in your dog’s paws and abdomen is a common issue during monsoon. You may also notice pimples, redness of skin or itchiness. Focus on keeping your dog clean and apply anti-fungal powder regularly. Ensure that there are no ear infections. Dogs with closed ears run the risk of accumulating moisture which may lead to ear infections. 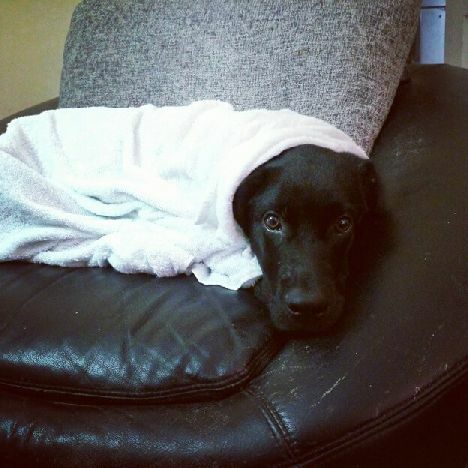 Wipe your dog’s ears dry post-bath or if he gets drenched in the rain. Add fibrous fruits and vegetables to your dog’s diet. This will help regularize bowel movements, even if you don’t get a chance to take him out due to rains. You should also try engaging your dog in some indoor exercises to prevent obesity. Make a ‘safe place’ for your dog to help with his rain and thunder anxiety issues. Monsoon showers are often accompanied by loud thunders which can scare your dog. To avoid this, create a safe place for your dog to go to when frightened e.g., leave a bedroom door open if he likes to sneak under the bed. 5. Bathe your dog with a good anti-fungal shampoo to avoid ticks and rashes. Keep your dog’s sleeping area free of mosquitoes, fleas, ticks, and bugs as these can lead to tick fever and other monsoon diseases. Get your dog protective rain gear. If your dog has a history of skin-related allergies, you may want to consider making him wear a doggie raincoat. Give your dog boiled water to help avoid all types of tummy issues. De-worm your dog Monsoons lead to a rise in worm-related diseases such as anemia, general debility anorexia, dullness of coat and many other complications. Get your dog vaccinated before monsoon begins. Make monsoon just as romantic and enjoyable for your pooches. Keep them dry, safe and shower some extra love on them. Doing something special for your dog or have any other tips and tricks that could make our readers better pet-parents this season? Hey Abhi! first I need to say thanks to share such useful info. though what are the possible infections may catch during this season? I would appreciate for your reply. Furthermore dogs also need to be careful against infectious diseases like parvo virus diarrhoea, distemper, foot wounds, maggots and hepatitis during the rainy season. Previous Previous post: TSA dog adoption – cutest losers you’d love to take home! Next Next post: See how this Pune dog lover is helping the stray dogs!